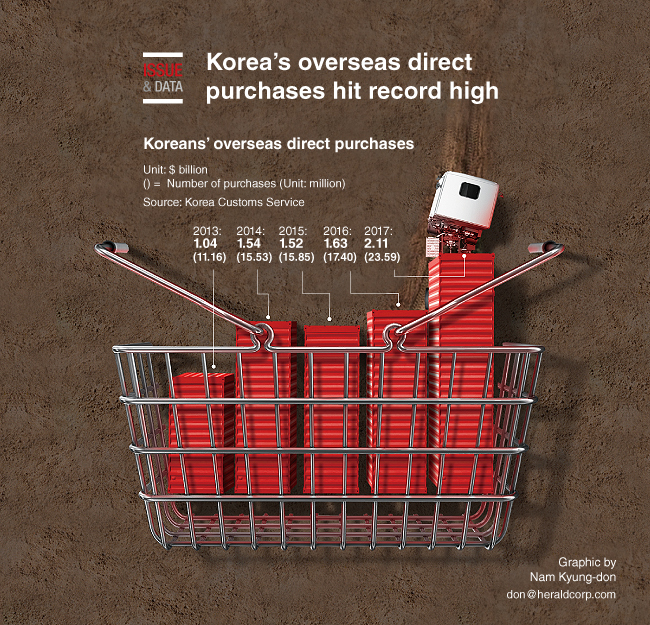 According to the data compiled by the Korea Customs Service, a total of $2.11 billion worth of foreign goods was directly bought by Korean shoppers via overseas internet shopping malls last year. The number of overseas direct purchases soared 35.6 percent a record 23.59 million. The customs office said the strengthening of the Korean won versus the US dollar and the Japanese yen, combined with massive promotion events, helped fuel South Koreans’ purchases from international shopping sites.